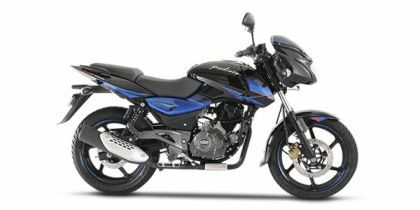 Bajaj Pulsar 150 price in Delhi starts from Rs. 64,998 (Ex-showroom). Pulsar 150 is available in only 4 variant. Bajaj Pulsar 150 Neon is priced at Rs. 67,386 and the top-end variant Bajaj Pulsar 150 Dual Disc is priced at Rs. 84,461. Bajaj Pulsar 150's top competitors are TVS Apache RTR 160 (price starting at Rs. 78,338 in Delhi) and Honda CB Unicorn 150 (price starting at Rs. To Be Announced in Delhi). Q. Is Pulsar 150 Neon the best bike in this price range? Q. How is the maintanance cost for Pulsar 150cc compare to other 150cc bikes? It is most affordable because being an Indian brand its genuine spare parts are easily available and you will find multiple authorised service center in a city. Q. Which one is best compared to specifications and price, Pulsar 150 or Yamaha FZ S Fi V3? Q. What is city mileage, ride quality and service maintenance cost? The pulsar bike is very good mileage and super pick up. It has nice quality engine and lowest maintenance in the future. Q. Pulsar 150 & Apache RTR 160, which one has lowest maintenance?